The CT400 Casket Truck Drape System is manufactured by Link Manufacturing, which has developing innovative products for the transportation industry for over 30 years. The CT400 Casket Truck Drape System is designed to be a convenient draping system for use with the CT400 Casket Truck and surrounds the CT400 Casket Truck on all four sides. 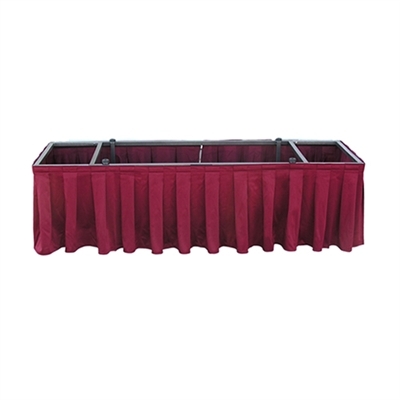 It includes a drape frame attachment kit for the CT400 Casket Truck and a D400 Drape, which is available in 4 colors from which to choose. The CT400 Casket Truck is sold separately.